This is a wonderful opportunity to purchase a turkey parcel of Belize real estate in the capital city of Belmopan near the U.S. Embassy!!!! 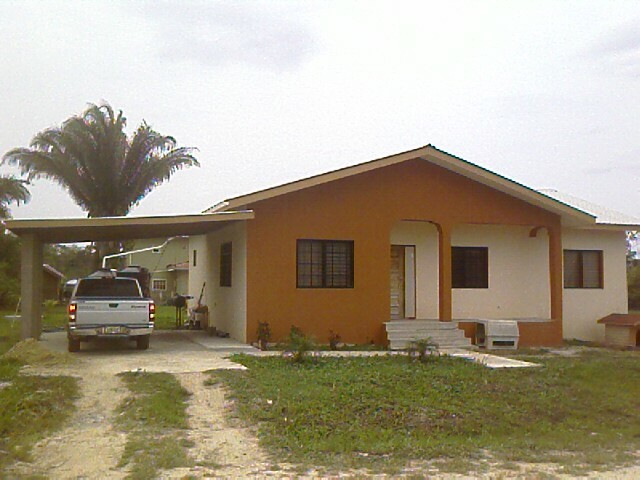 The house is situated on a good sized lot in a very good neighborhood of Belmopan on the north side. The house is 1,302 square feet and has three bedrooms and two bathrooms. The master bedroom features an ensuite bathroom and walk in closet! The entire house is fully tiled throughout and burglar-barred and there is a garage. This is a very well priced concrete house in a very good neighborhood in Belmopan near the U.S. Embassy for only $85,000 U.S.D Sold,Sold,Sold,Sold,Sold,Sold,Sold,Sold!!!!!!!!!!!!!!!!!!!!!!!!!!! !